Axalp is a small but perfectly formed ski resort located in a tiny, romantic Swiss Alpine village with the usual classic charm. The resort is voted amongst the best family-friendly resorts in Switzerland and children will love Axalp! 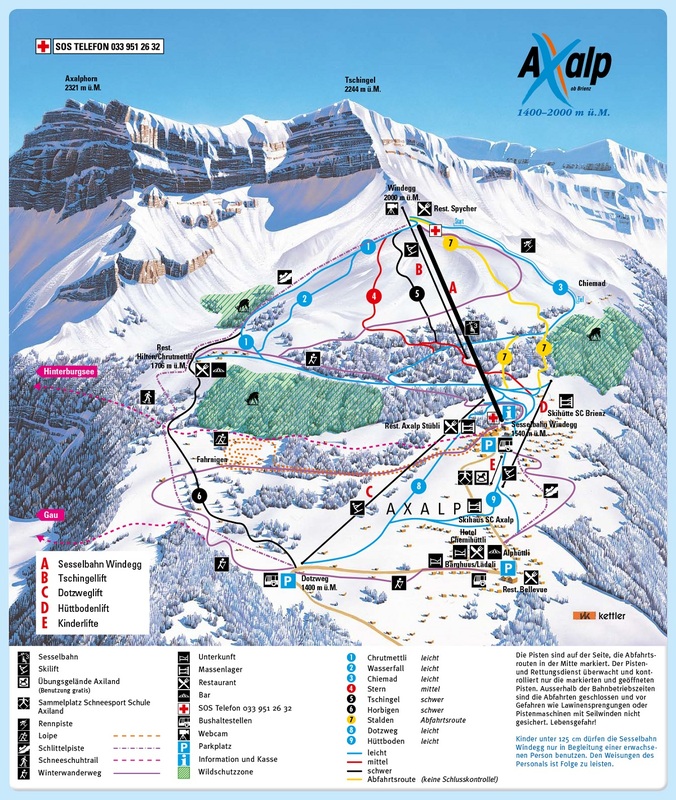 The marvellous Axalp ski resort definitely is a place to visit - when looking for a ski transfer from your chosen airport, be sure to check Alps2Alps offer to get the best price and service in the market. The resort is located in the Bernese Oberland, high above Lake Brienz, it is snow-sure resort with varied terrain, therefore there is something for everyone - from skiers to snowboarders, from beginners to skilled freeriders - the network of pistes winds through the forests above the turquoise Lake Brienz - it is acclaimed as Switzerland's clearest lake. In the resort, you can also find sledge run and natural ice rink as well as mountain restaurants and cafes with spectacular views all around. There is a train station in the middle of the village, therefore you can easily reach Axalp from every major Swiss city. We have substantial discounts for midweek (Monday-Friday) transfers (prices will be up to 60% lower than weekend prices) to Axalp ski resort and you can save even more if travelling during the off-peak and off-season. When calculating the final price for your transfer, we take into account the vehicle utilization and availability, schedule of transfers and other costs like road tolls and parking fees. To discuss any specific requirements or plans to travel to Axalp as part of a larger group, get in touch with us directly. The resort is a part of Brienz Axalp ski area, it offers quite compact pistes and great snow park and halfpipe for snowboarders and freestyle skiers to enjoy as well as courses for children. Axalp offers special day tickets for families, seniors, youth and children. If well-prepared pistes aren’t enough your family can enjoy hiking trails, sledging runs, family skiing competitions and of course night skiing. The resort has the children skiing paradise ‘’Axiland’’ for younger guests to feel in love with skiing and creating a desire to come back every year. The resort itself is quite compact and everything is easily reachable, there are few mountain restaurants were to sit and admire the breathtaking views all around. If you want to get the best possible deal for your transfer to Axalp ski resort, book your transfer as soon as possible.Get in touch with Alps2Alps if you can’t find the services that you are looking for and we will do everything to help to make your transfer to Axalp mesmerizing. Wherever you choose to go, Alps2Alps will be ready to serve!